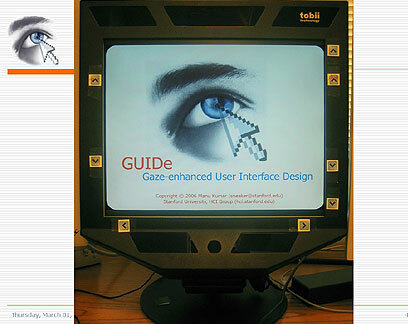 The eye-tracking monitor used in the study. A high-resolution camera and infrared LEDs are embedded in the bezel above and below the screen. The arrows around the screen can be used for scrolling when a person looks directly at them.